Over four million people in the United States wear braces, and 25 percent of these individuals are adults. With advances in both appearance and comfort, an ever-increasing number of people are seeking to improve their smile with braces. Determining which option is right for you, however, can be challenging. 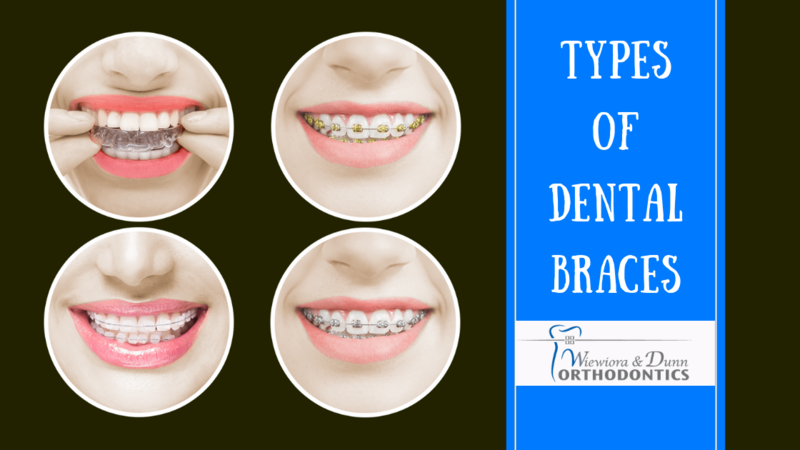 Keep reading to learn about the types of braces available today, and how each treats various malalignment conditions. The most recognized form, metal or traditional braces, remain one of the most affordable, yet noticeable types to date. However, brackets have become smaller and more comfortable than they were previously, and the timeline for treatment has decreased. This is partially due to the new heat-activated variation – archwires – which utilize your body heat, and claim to decrease discomfort. Similar in both size and shape to metal braces, clear or ceramic braces are less noticeable and are a great choice for those that want a more aesthetic option. The brackets are clear and are made to match the natural color of your teeth. It is important to note that this variation is slightly more expensive than traditional braces, and are vulnerable to staining. To remain the same color throughout treatment, they must be well-maintained. While platinum or gold braces have no advantages over traditional braces, they do offer relief to patients with a nickel allergy. However, those who choose platinum or gold braces typically do so for their appearance and not because of an allergy. They are especially popular among female patients for their similarity to jewelry. Consisting of a series of trays, Invisalign is a set typically ranging between 5 and 50 custom-made aligners that are replaced every one to two weeks. Made of thin clear plastic, it is comfortable and invisible, making it the most popular choice for treatment for teens and adults. There are a few orthodontic situations where Invisalign may not be the best option for you, but due to advances in technology, Invisalign can now predictably treat the majority of orthodontic cases. Removed for teeth cleaning and eating, it has no restrictions for eating and drinking. However, teeth should be brushed thoroughly before placing the trays back in the mouth. To determine which type of braces are best for your situation, speak to your orthodontist. While you may have a preference between some options for appearance reasons, you will be limited based on your unique oral health needs. Read our previous blog, to learn the average price of braces. At Wiewiora and Dunn Orthodontics, we provide a range of braces to suit our patients and address their individual situation. With advanced digital impressions, the process to achieve a healthy smile is comfortable and efficient. Contact us today to schedule your appointment, and begin your journey to the smile of your dreams.